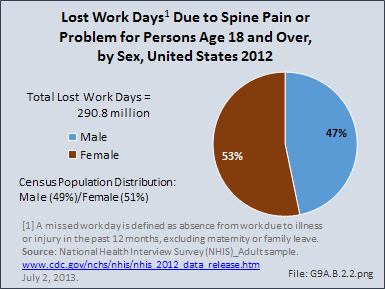 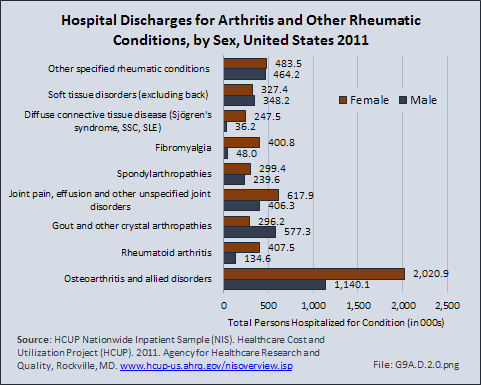 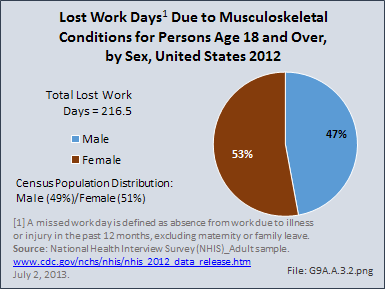 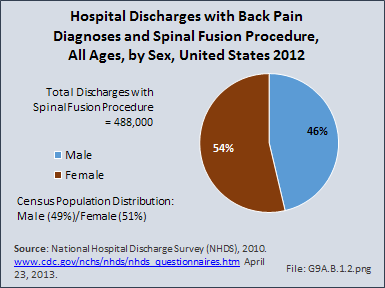 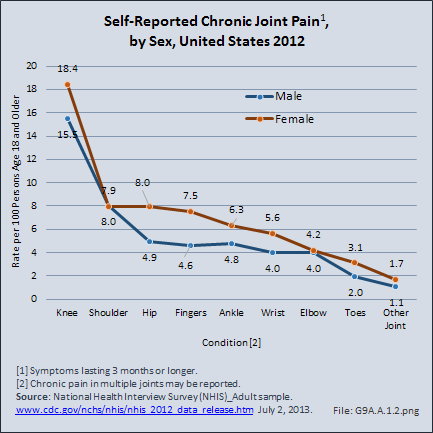 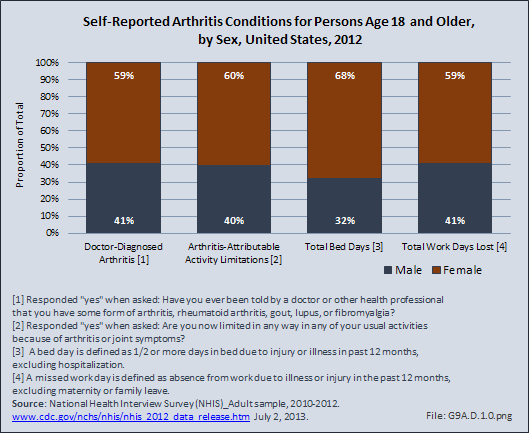 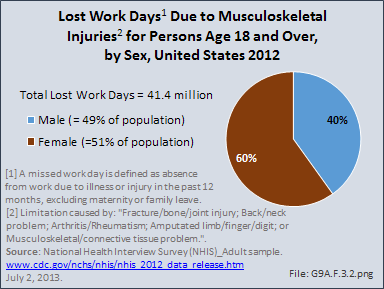 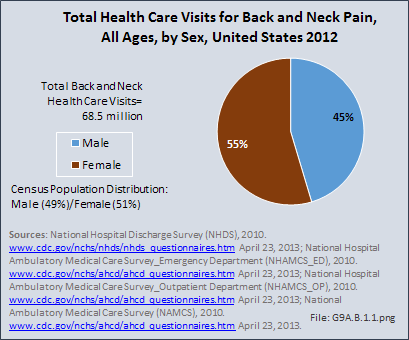 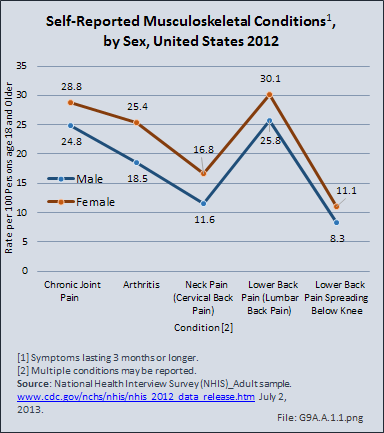 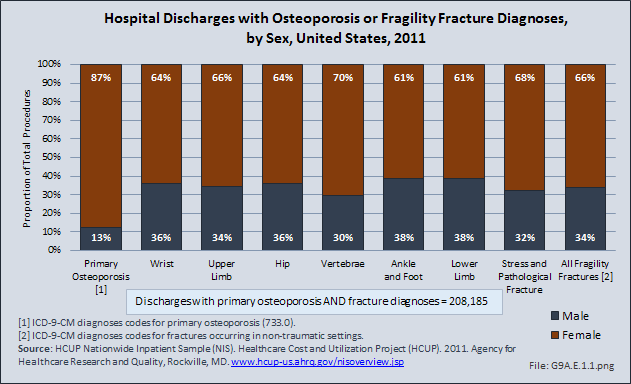 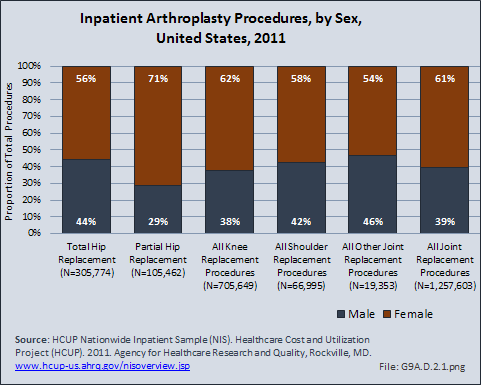 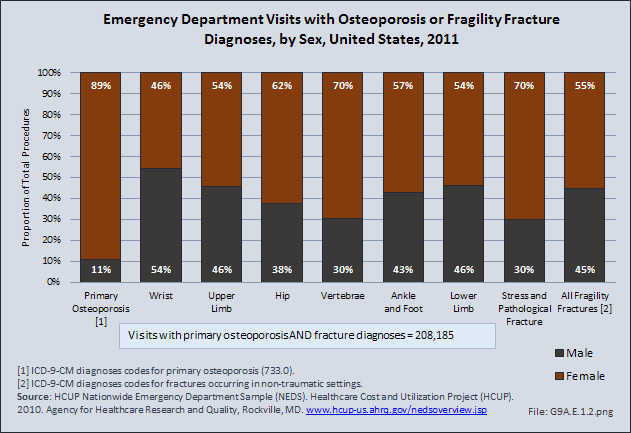 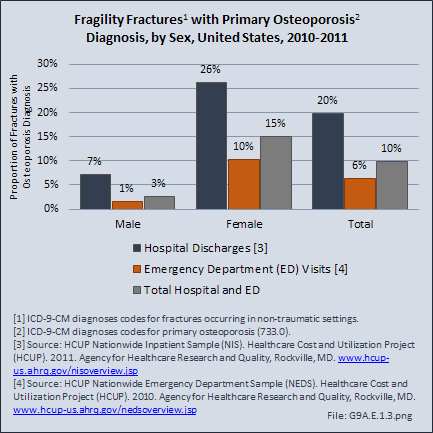 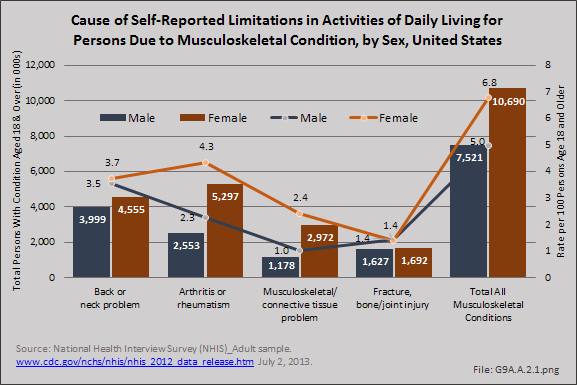 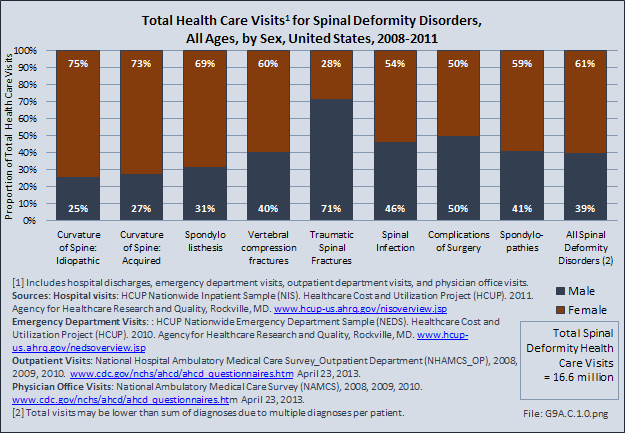 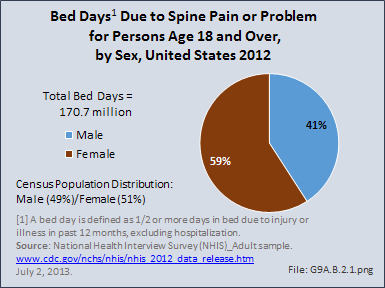 Women account for nearly two-thirds (64%) of the 528.3 million bed days reported in 2012 due to a musculoskeletal condition. 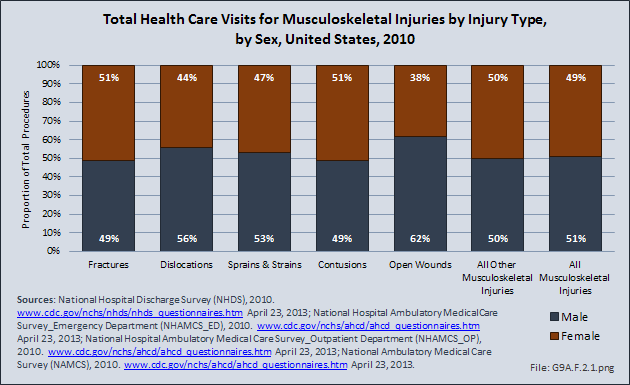 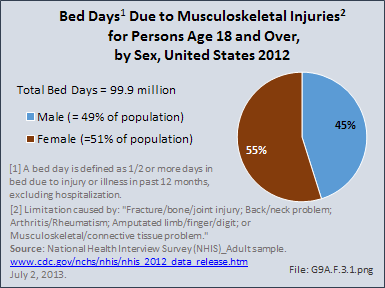 A bed day is defined as one-half or more days in bed due injury or illness, excluding hospitalization. 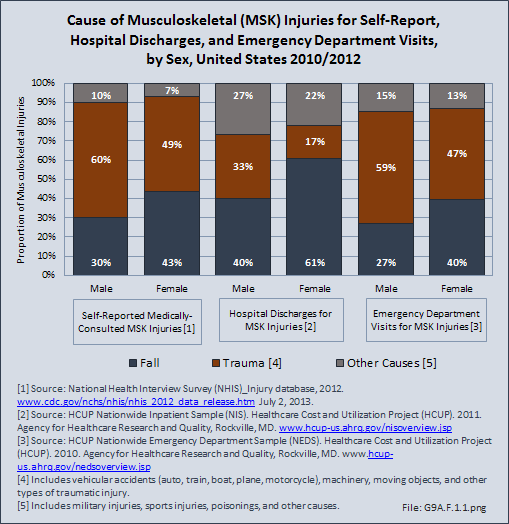 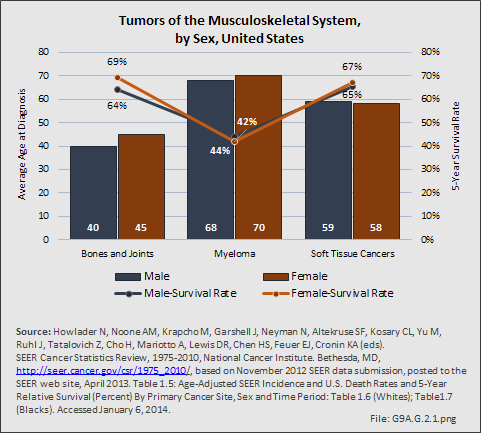 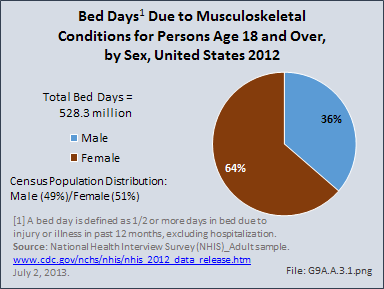 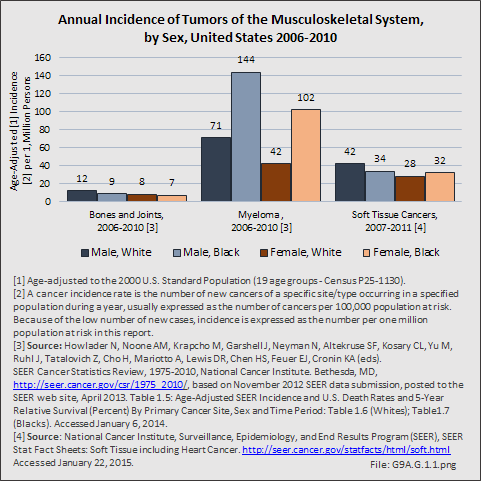 The greater number of total bed days reported by women is due to both a higher number with musculoskeletal-caused bed days, and a higher mean number of days in bed (9.9 days versus 8.2 days for men).